I admit, before going through cancer, and right after finishing treatments, I did a few cancer walks. I believed I was helping a great cause. As I did more and more walks, I felt sadder inside. I survived cancer, so how come I am not like one of the happy-go-lucky girls all dressed in pink ribbons, celebrating their triumphs? For me, I just haven’t been able to get past what I’ve learned and what I’ve seen in relation to breast cancer. When I was diagnosed with early stage breast cancer, my doctors didn’t speak to me about metastatic breast cancer. They figure I wasn’t dealing with that at the time so why overwhelm me with all the possibilities. I was too scared to ask questions that didn’t apply to my case. I did think I was going to die, like all of us do at the beginning of this process — but when my doctors told me “you will be fine,” I held on to that, which isn’t a bad thing. I do have a family history of cancers and a few of my family members have died from metastatic breast cancer. In my mind, I thought their cancer was caught late. But later I found out that wasn’t the case. A couple of them had caught their cancers early but then their cancer metastasized. Now I am not too sure I will be OK, because no one really knows. I joined an online forum during my treatments — a group of over 200 ladies and a few men (yes, men get breast cancer too). I knew their stories. Some were very similar to mine. Some of them eventually faced stage 4, and then died. I was exposed to a lot of information doctors don’t always tell you — how sometimes tests aren’t accurate, or how having clear lymph nodes doesn’t mean your cancer won’t spread, for example. I found myself coming back to my oncologist and asking a lot of questions about my case, but she didn’t have all the answers. All my doctors can do is monitor me closely, but the truth is, they don’t know if I will be one of those “30% of patients” (note, numbers may be higher) who go from early stage to having metastatic breast cancer—stage 4. They also can’t stop a metastasis from occurring. But I am doing well so far, so why is it that I can’t be at peace with that knowledge and move on? Because there is no cure for breast cancer and none of us are truly ever done after treatments. There isn’t enough funding for stage 4 research, which is why we now have 110 women dying every day from metastatic breast cancer in the U.S. alone— About 40,290 women in the U.S. are expected to die this year (breastcancer.org). After learning more about breast cancer, and after seeing so many people die from it, including family members, I just don’t feel like celebrating. This doesn’t mean I am ungrateful for being alive or that I feel bitter. It means I am sad others have died from the same disease I have. I am also worried about OUR future, because of the limited amount of funding there is to find a cure. I understand every patient is entitled to handle their cancer as they please — and it is not my intention to take away hope, because I have some hope too. But please educate yourself about the disease. Educate others. Get involved. Know which organizations are focusing on finding the cure — Metavivor is a great start. There are others too. However, I am not so confident of some other well-known organizations that wrap themselves in pink ribbons every October but don’t contribute much to advance cancer research. 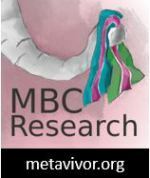 Metastatic breast cancer needs more research. We have enough awareness about cancer— it is the second leading cause of death in the U.S., so by now we all know it exists. What we need is a cure so we can all be truly done with cancer and have more reasons to celebrate, in more colors than just pink. 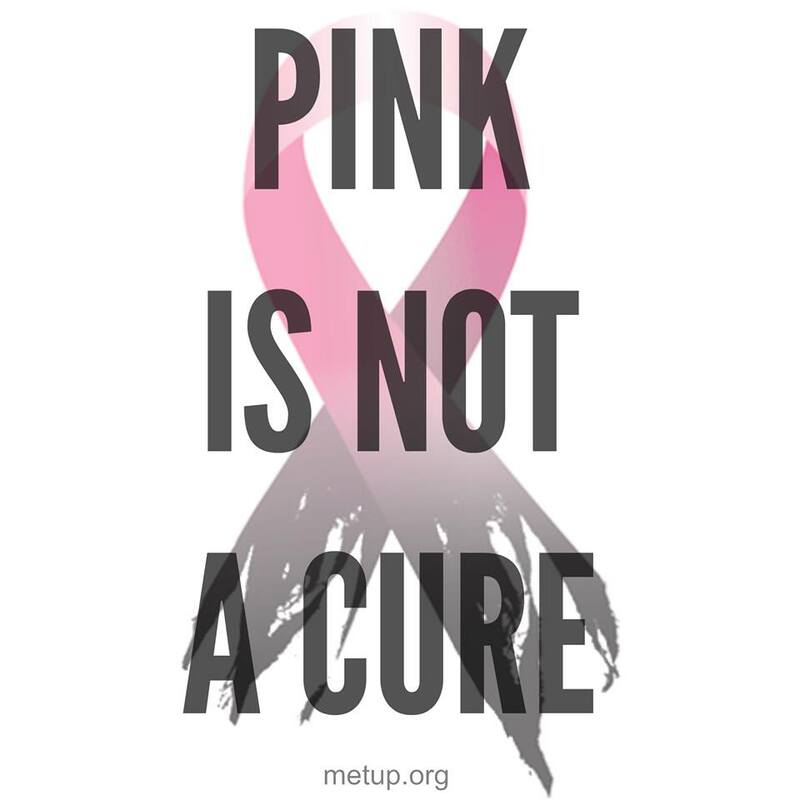 This entry was posted in Awareness and tagged mets, pinktober. Bookmark the permalink. I know of a few good stories regarding stage 4 patients too but there aren’t enough of those stories, sadly. Too many still lose their lives to this disease — just as I was working on this post, I received the news that another dear friend from the forum I am part of, died. She is one of the 110 women who died today. I don’t know how many lives it will take to get more action. This saddens me, friend. There’s something to be said about pouring positive energy into the pink campaign thing. Except, as long as we can escape into the imaginary warm feeling of having “done what we can” when, in fact we have done nothing. It stalls the simple question, “well, what EXACTLY have you done?” by filling the air hand waving and I think turns people away from the reality of suffering and death. To me, the whole pink thing reduces cancer to solvable problem without solving the problem. Want to dress-up and pretend? Wait for Halloween. Sorry about the attitude but I think Pink makes cancer acceptable by cleaning up its image and works against a cure. Well said, marching waving your hands wearing pink might make us feel good but won’t solve the problem or find the cure. I don’t think this is being negative, I just think it is being realistic, and that’s OK.
Scott, don’t be sorry for speaking the truth. I am in agreement with what you wrote and I am pretty sure I am not alone. Agree with you, Scott, 100%. I think using the word celebrate in your title says quite a bit. I am frustrated with the idea of it being a celebration in the first place. You always understand. It is a frustrating situation. That’s another thing with me, Katy. I never liked military or fighting language either. Ultimately, it’s my body I am kicking. But that’s just how I see it. Every patient handles their cancer their own way, I guess — and that’s OK. I am sorry you are dealing with cancer. I hope you are feeling well and tolerating treatments OK. I agree with everything above. I am still working on what my response to Pinktober is. Others, including you, have said it so eloquently, I’m not sure what more I can add. I say the more voices the better. If you are inspired to express your thoughts on this topic, please do it. Patients seem to be the only ones who speak up. Sometimes that helps. I have recurrent uterine cancer, in a form that is inoperable, incurable, and, technically, terminal. My oncologist gave me two years; that was a year ago. Until last week, I thought I was halfway through the rest of my life. Now it turns out that instead of dying of cancer, I will be living with it for much longer than my oncologist originally thought. The palliative care I’ve received has been more effective than anyone anticipated. Throughout, I have remained relentlessly, mercilessly positive…but I don’t think my attitude has had any real effect on biology or the cancer process. Since last week, I feel like there’s been a party in my head. However…celebrate? I have partied, I have laughed, joked, danced, and all the stuff people do to feel good but I would not describe anything I’ve done as celebratory. I’m not celebrating. I’ll celebrate when researchers perfect the work they’ve been doing with viral cells, to engineer them so that instead of making a person sick, they kill the cancer inside a person. What I’m doing is staying alive––and urging myself to feel like staying alive. I talk about kicking cancer’s arse and making it my b!tch because I don’t think of cancer as being part of me or my body. My body and I are struggling against a carcinomic interloper that doesn’t belong there. I’m not celebrating. I’m living.